It’s raining here. Again. 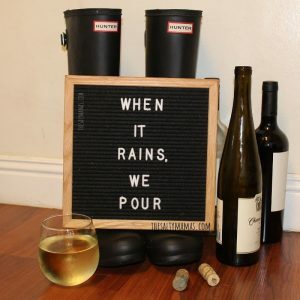 And as Southern California Mamas, we are the first to admit that we are NOT used to it. Like, we barely own umbrellas kind of not used to it. So at the first sign of a sprinkle we’re making sure the kids actually have jackets and are scrambling to try to keep the family dry. As usual, we thought about ourselves last. We had no idea how to survive a rainy day inside with kids. So here are some thing that help us get through our day trapped inside! First things, first. We have to get these kids off our backs! We’re used to one rainy day here and there. It’s fun, it’s novel, and the kids can splash around. Or they can spend one day watching TV and it won’t go on their permanent record. But if you’re trapped inside for any considerable amount of time, you’re going to need activities. ALL THE ACTIVITIES. Now that the kids are settled, how about some me time? The best part about a cold, rainy day, is that I don’t feel weird drinking a piping hot cup of coffee all day long. But because it’s freezing, there’s added incentive to keep that mug TOASTY. Our favorite to-go mug in the whole wide world is the Contigo Autoseal. Not only does it keep coffee warm for hours, but you can also toss it in your purse for safekeeping. Because, let’s face it, you’re probably carrying a kid and an umbrella at the very least. You shouldn’t have to pick them over your coffee. If you’ve made the wise choice to stay indoors forever, you can go with a regular insulated coffee mug. 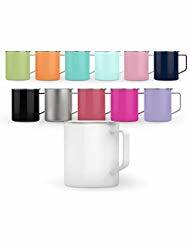 We love these because they are super functional and come in twelve adorable colors. I’ll admit, sometimes, I just want to drink out of my regular old, favorite mug though. So at the tippity top of my wish list right now is a mug warmer. I fantasize about curling up under a cozy blanket, reading a good book, and drinking my coffee that stays hot forever perched on it’s perfect little warmer. But for now, the blanket and book are probably unattainable, but my favorite mug staying warm doesn’t have to be! While I could live off coffee for a few days, it turns out my kids desire actual food. So after we rummage through the cupboards, have eaten all the mac and cheese and haven’t seen a fresh fruit or veggie in a minute, it’s time. I have to go to the grocery store. Or do I? 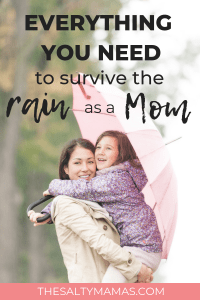 After a couple of years of trudging to the store with kids in the most unpleasant of conditions – rain, sick, exhausted, grumpy – a friend asked why I don’t just have my groceries delivered. Uh, because that’s obviously something incredibly wealthy people that are also quite fancy do! But I was so wrong. I logged into Amazon and started browsing Amazon Fresh, expecting to see huge markups and an obscene delivery fee. Instead, I bought a weeks worth of groceries that was absolutely within my normal budget. It was one of those moments when I realize that I make things harder on myself than they need to be. And that sometimes, we all deserve a little luxury. Like having someone else bring us groceries. If you haven’t, PLEASE, from one Mom that’s not great at self-care to another, nab a free Amazon Fresh trial here and give yourself a break! You know how when you buy makeup you feel prettier even when you’re just walking to your car? 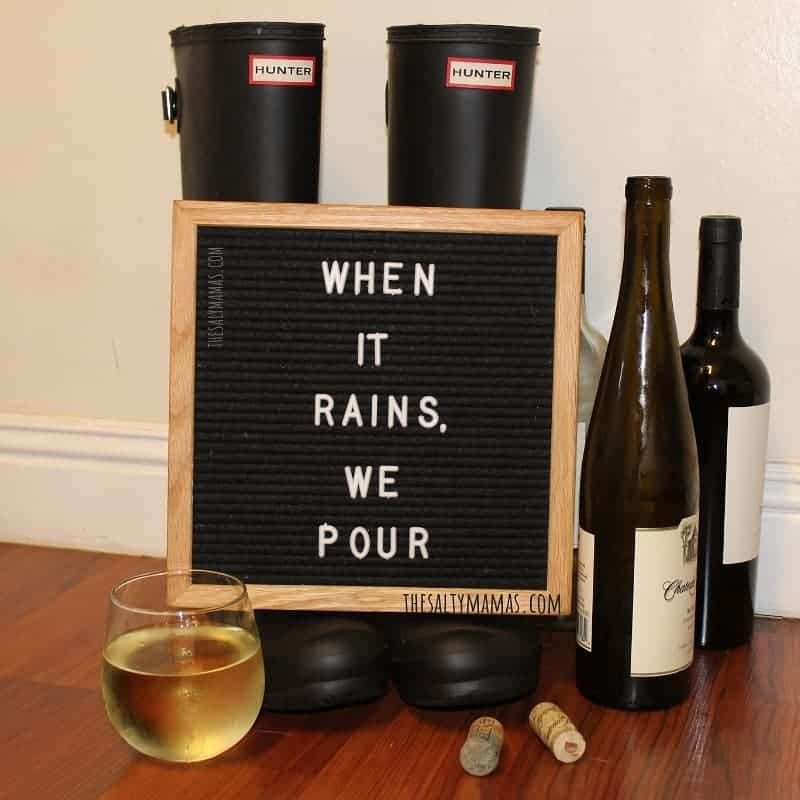 Well the same can be said for when it’s pouring rain but you’ve got some cute boots coming in your next Amazon delivery. So both of the Salty Mamas are well geared up for the rain this time around – and it makes us way less bitter about having to actually go outside. 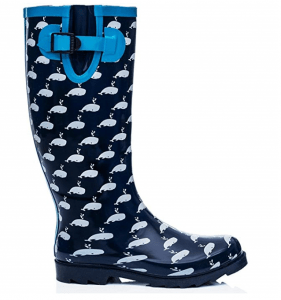 Jaymi has gone with the classics – some amazing Hunter rainboots. 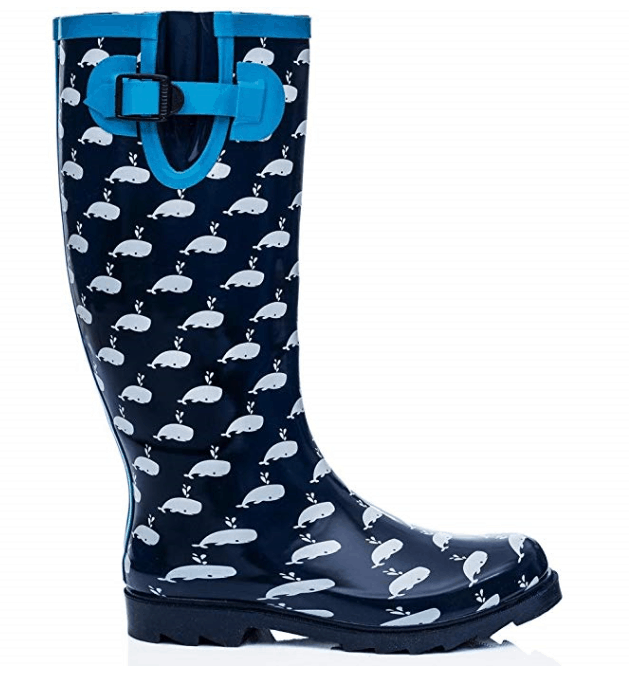 Christine is more like a big kid herself and goes for whimsical, like these super cute wellies than come in amazing prints and patterns. 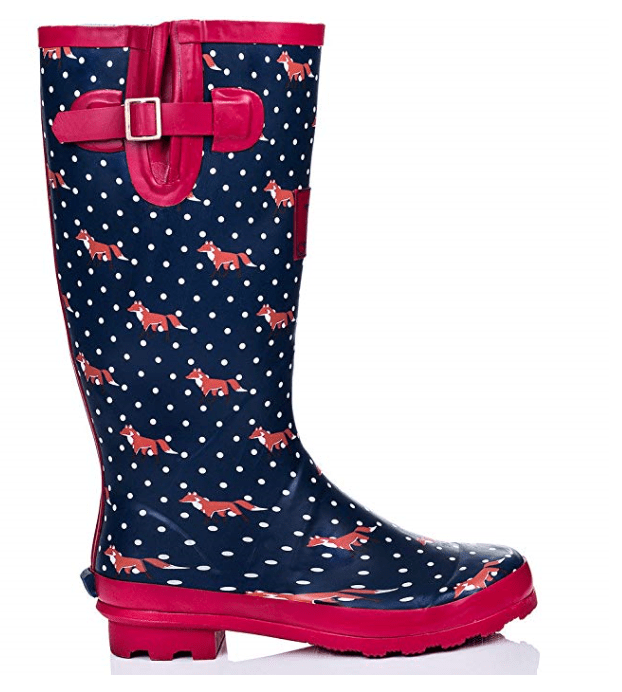 I mean, how cute are these foxes and whales?? Sure, any old umbrella will do, but when the weather is dark and dreary, who wants a plain black umbrella? Not us! 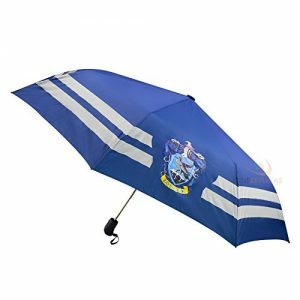 This rainy season, Christine’s sporting a new Harry Potter House Umbrella (Ravenclaw, duh). But it took a LOT of browsing to pick an umbrella. Here are some other ones she loved! How happy is this sunflower umbrella? These days, we could all use a reminder that sun is around the corner (someday? eventually??) 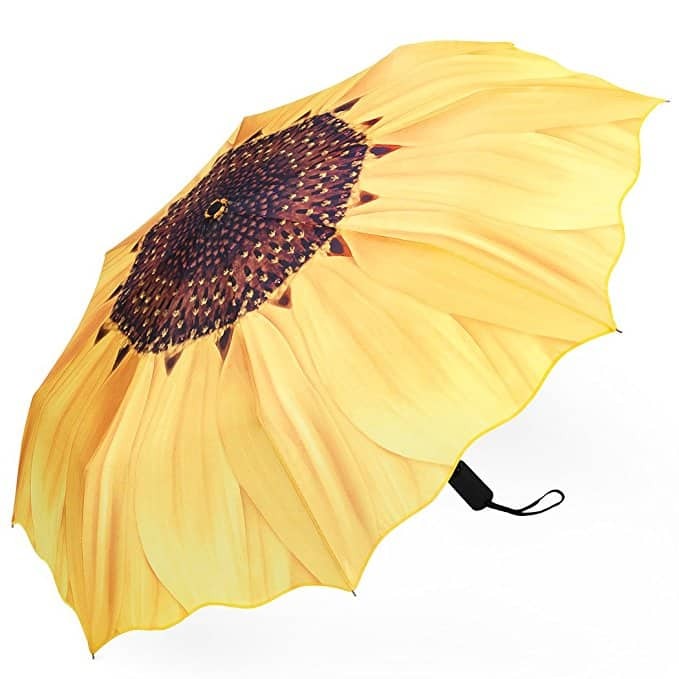 and this bright yellow umbrella is just the ticket! Looking to toe the line between fun and “look at me!”? 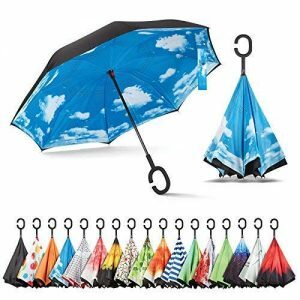 Consider one of these reverse umbrellas! The top looks #basicblack but the inside is BEAUTIFUL! With over 20 designs you can pick something that’s way out there (tie die or leopard print!) or something safe, like a tasteful plaid. (We love this beautiful blue sky – kinda like the one we wish was overhead WITHOUT the umbrella! When all else fails, pour yourself a drink. Because you’ve Mommed EXTRA today. And you deserve it. Loved this advice from The Salty Mama? Check out some of our other recommendations!